Zalgiris Kaunas rejoined the race to reach the playoffs in Top 16 Group E by topping Unicaja Malaga 67-83 in Spain on Friday. Unicaja and Zalgiris are tied for fifth place in Group E, each with a 4-5 record. Mindaugas Kuzminskas paced the winners with 15 points. Oliver Lafayette added 14 for Zalgiris, all of them in the second half. 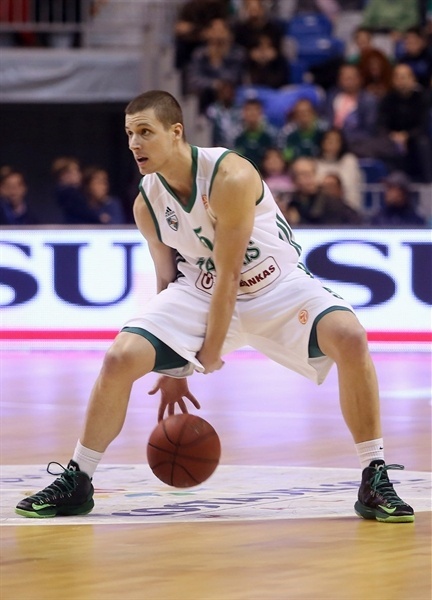 Krunoslav Simon led Unicaja with 13 points. Luka Zoric added 12 and Sergi Vidal had 10 for the hosts. 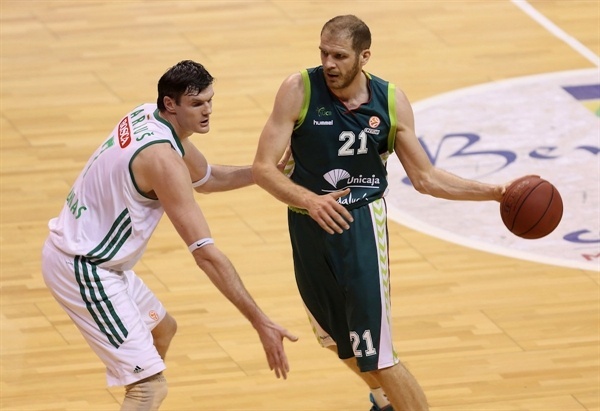 Unicaja shined early, as Simon and Zoric allowed the hosts to get a 17-7 margin. Darjus Lavrinovic and Rimas Kaukenas stepped up to bring Zalgiris within 19-16 after 10 minutes. Zalgiris found a new go-to guy in Kuzminskas, who led a 0-10 run that put the guests back ahead, 24-26. He got some help from Tremmell Darden to boost the guests' margin to 31-38 at halftime. Simon and Marcus Williams brought Unicaja within 47-49, but Mario Delas and an outstanding Lafayette allowed Zalgiris to stay ahead, 56-59, after 30 minutes. A 0-10 run that Kuzminskas capped with a dunk sealed the outcome, 58-69, midway through the fourth quarter. Unicaja kept trying but Zalgiris cruised to a very important road win. Before the opening tip, a moment of silence was observed in memory of Malaga-born sportswriter Paco Rengel, who passed away recently. Luka Zoric got Unicaja going with a four-meter jumper, but Ksistof Lavrinovic quickly answered from downtown for a 2-3 Zalgiris lead. Sergi Vidal buried a three-pointer and a long baseline jumper by Tremmell Darden tied it at 5-5. 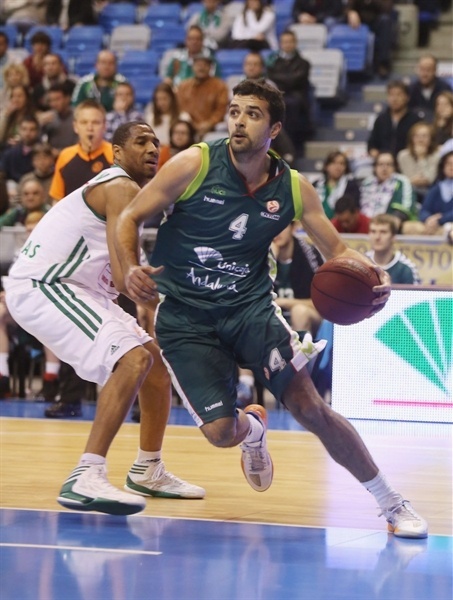 Vidal took over with an acrobatic layup and a put-back dunk by Zoric boosted Unicaja's lead to 9-5. 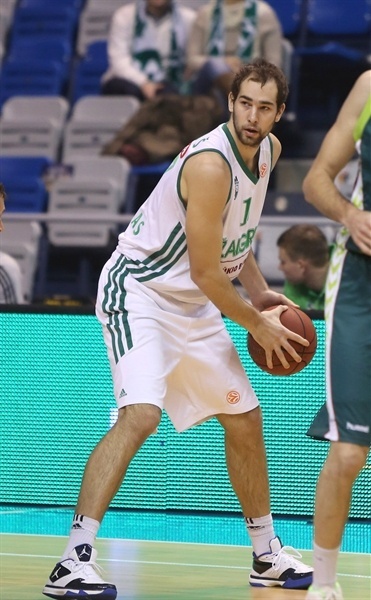 A driving layup by Krunoslav Simon forced Zalgiris to call timeout at 11-5, after a 6-0 run. Darden buried a close jumper only to see Fran Vazquez follow a power layup with a five-meter shot for a 15-7 Unicaja lead. Zalgiris kept struggling to score, as Unicaja was very active at both ends. Simon shined with an alley-oop layup that made it a double-digit game, 17-7. 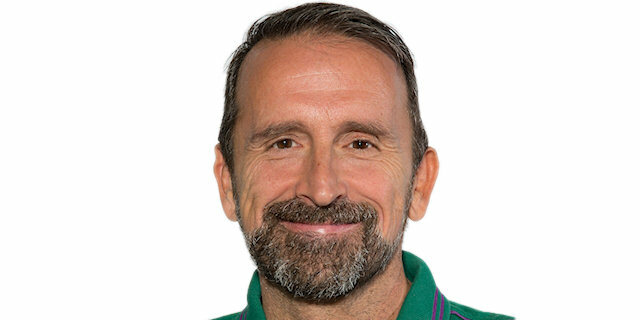 Mario Delas downed a mid-range shot and Darjus Lavrinovic split free throws, but a long two-pointer by Txemi Urtasun restored a 19-10 Unicaja lead. Darjus Lavrinovic scored down low, Mindaugas Kuzminskas split free throws and a three-pointer by Rimas Kaukenas brought Zalgiris within 19-16 after 10 minutes. Urtasun took over with a backdoor layup early in the second quarter and Vidal nailed his second triple to give Unicaja some fresh air at 24-16. Kuzminskas answered from downtown and a steal by Darjus Lavrinovic allowed Delas to score at the other end, before Unicaja called timeout at 24-21. Darjus Lavrinovic buried a mid-range jumper and a three-pointer by Donnie McGrath completed Zalgiris's comeback, 24-26, after a 0-10 run. Marcus Williams buried a stop-and-pop triple in transition, but a power layup by Kuzminskas put Zalgiris back ahead. Kuzminskas kept pacing Zalgiris with free throws and then he bettered Zoric's layup with a three-pointer, to make it 29-33. 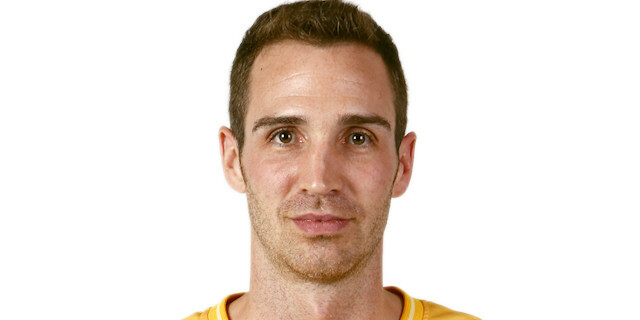 Darjus Lavrinovic provided a highlight with a fast break slam that caused Unicaja to stop the game at 29-35. Vidal stepped up with a driving layup, which Darden bettered with a three-pointer that gave Zalgiris a 31-38 margin at halftime. Simon swished a three-pointer from the corner right after the break, as Unicaja improved its defense and held Zalgiris scoreless for more than two minutes. Vazquez made free throws to close within 36-38. Oliver Lafayette stepped up with a floating layup, which Vazquez matched with a slam. Earl Calloway split free throws and a three-pointer by Marko Popovic gave Zalgiris some fresh air at 39-43. Simon answered from downtown, but back-to-back layups by Lafayette and Ksistof Lavrinovic restored a 5-point Zalgiris lead. Simon downed another three-pointer before Darden shocked the crowd with a two-handed slam. A turnaround jumper by Zoric got the hosts as close as 47-49. Lafayette scored again and free throws by Ksistof Lavrinovic extended the lead to 6. 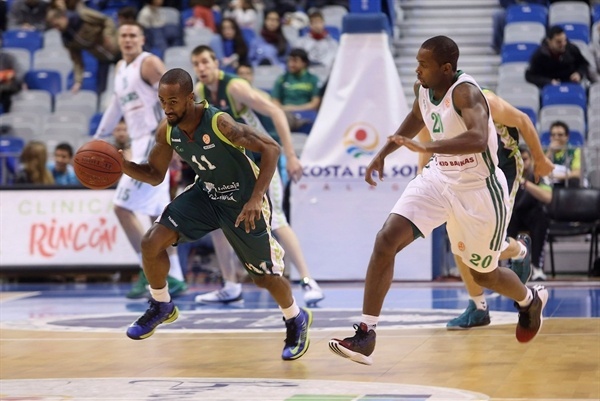 Williams and Lafayette traded triples and free throws Zoric, Urtasun and Williams brought Unicaja within 54-56. A three-pointer by Delas and an alley-oop slam by Augusto Cesar Lima fixed the score at 56-59 through three quarters. Lima scored around the basket early in the fourth quarter, but Kaukenas matched that with a six-meter jumper, as the game turned into a physical battle. Zalgiris now tried a taller frontline with Kuzminskas, Ksistof Lavrinovic and Robertas Javtokas together on court. Javtokas scored down low and a block by Ksistof Lavrinovic helped McGrath to bury a triple at the other end for a 58-66 Zalgiris lead. Ksistof Lavrinovic split free throws and a dunk by Kuzminskas broke the game open, 58-69, after a 0-10 run. Urtasun scored in penetration, but a three-pointer by Lafayette boosted the guests' margin to 60-72 with over three minutes left. Popovic made 3-of-4 free throws and Lafayette added an acrobatic driving layup that sealed the outcome, 60-77, right after that. Unicaja never gave up, but Zalgiris had plenty of time to celebrate its second consecutive road win in Group E.
"Unfortunately, we had another game with many ups and downs. We had a great first quarter, but forgot about it in the second quarter. I don't want to talk about the final minutes because we took many desperation shots, which allowed Zalgiris to get a bigger lead. We have more games ahead of us, each game is important and we will compete until the final day. I hope that the team's confidence won't be affected by this loss. Vazquez and Zoric were in foul trouble and that was very important for us to lower our intensity. They are crucial for us under the baskets. Lima tried until the end and that is important. I understand our fans, who buy their tickets and suffer for the team. Things are not going well and it has not been easy. I know this is not the right time to ask for patience, but I also believe that we now need our fans more than ever." 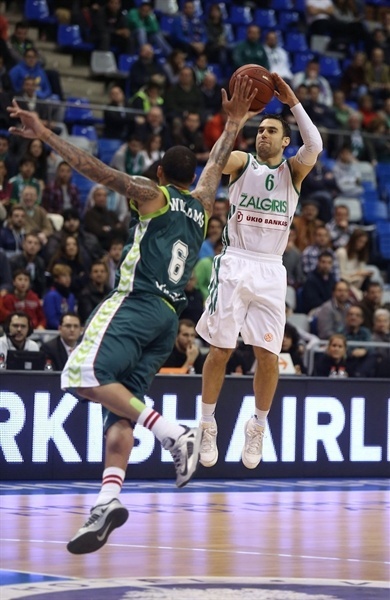 "This was a very important game for us after the loss against Panathinaikos. Before that, we lost some games by a narrow margin. I am proud of my players. They stays focused despiet our club's complicated situation. My players are really involved. We managed to have 5 players scoring at least 8 points tonight. It is being an open competition in this group. 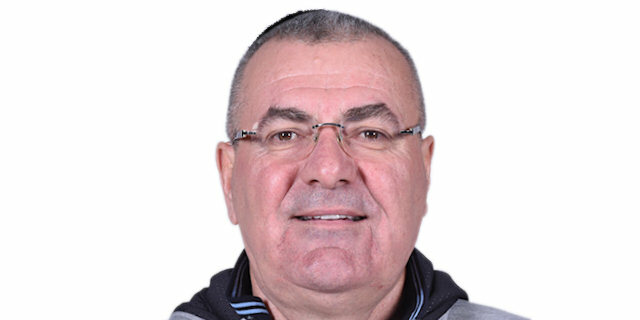 I hope that both Zalgiris and Unicaja get to the next round." "The good and bad things about this new calendar is that we have to forget about our wins and losses as quick as possible. We had to forget about last week's win right away and now we have to do the same about this loss. We allowed second chances, too many offensive rebounds and they hit their shots. We were not focused, did not control the defensive boards and Zalgiris made the most out of it. We have another important home game against Panathinaikos next week. If we win that game, we will be back to the fight for a playoffs spot."